The FTSE ST Mid Cap Index fell -3.52%, whilst the FTSE ST Small Cap Index dipped 2.02%. 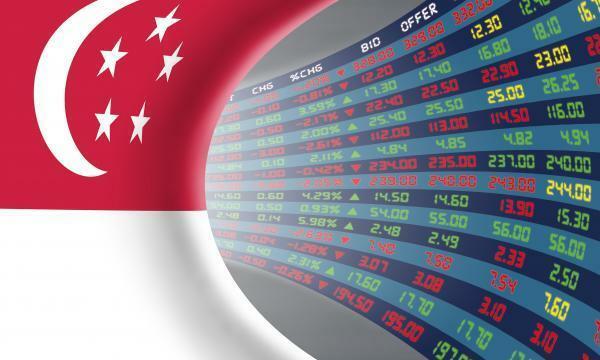 The top active stocks were DBS, which slipped 0.70%, OCBC, which dipped 0.36%, UOB, which fell 0.65%, ThaiBev, which slipped 1.59%, and Keppel, with a 0.16% advance. According to OCBC Investment Research, US stocks closed mostly higher, with the S&P 500 and the Nasdaq each snapping a four-day losing streak on the back of a recovery in technology shares. Eight out of eleven S&P 500 index closed higher, led by Utilities (0.58%) and Industrials (0.53%) while Health Care (-0.31%) and Financials (-0.08%) led the losses. "The modest rebound on Wall Street overnight could bring some reprieve to the local market, but we expect the overall tone to remain cautious," OCBC Investment Research said.